The Hereford Community Land Trust was formed in 2016 and is part of a national network of local Land Trusts. A Community Land Trust is a non-profit community-based organisation, run essentially by its members, which acquires and holds land on which the CLT’s specified objectives are carried out. Most CLTs develop and own ‘permanently affordable’ housing, possibly with other assets such as workspaces, open spaces and community facilities, which together meet the needs of the community. 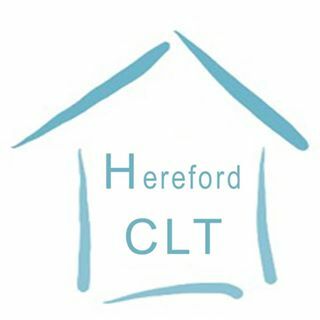 The HCLT mission is to provide low-cost, high-quality homes for sale or rent to local people in the Hereford area and surrounds. Following pathways developed by CLTs elsewhere, their aim is for these to be designed with community input to be energy-efficient and low-carbon, built with locally sourced materials and skills in a sustainable setting that includes food production, renewable energy, waste management, and all that is necessary for a healthy, balanced community.